Swim passed the competition in the Ohana Valleyfit Top. 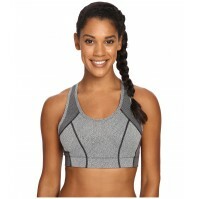 Valleyfit features a low neckline with sleek, flexible straps and an open Y-back. Durafast One chorline-proof fabric offers 300+ hours of performance, maintains 100% colorfastness and never fades, and UPF 50+ protection from the sun's harmful rays.